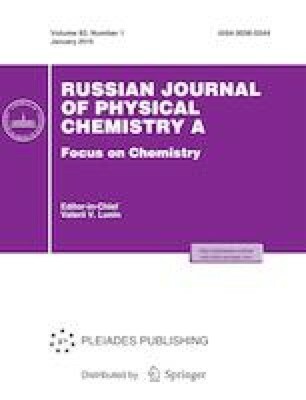 The kinetics of oxidation of two aliphatic α-amino acids (AA), namely, alanine and proline by NaIO4 has been investigated in alkaline medium in the presence of osmium(VIII) catalyst at a constant ionic strength of 1.0 mol dm–3 and at 25°C. The reactions were very slow to be measured in the absence of the catalyst. The reactions have a first order with respect both to [Os(VIII)] and [NaIO4], and fractional order with respect to both [L-alanine] (Ala) and [L-proline](Pro). The reaction show negligible effect of dielectric constant and ionic strength of medium. Increasing [OH–] concentration was found to decrease the oxidation rates while mercuric acetate acts as scavenger for both the reactions. A plausible oxidation mechanism has been proposed and the rate law expression has been derived. Both spectral and kinetic evidences revealed formation of intermediate complexes between AA and Os(VIII) before the rate-controlling step. Kinetic investigations have revealed that the order of reactivity is Pro > Ala. The complex thus formed reacts with the oxidant [NaIO4] by an inner-sphere mechanism with formation of the oxidation products of the amino acids which were identified as the corresponding carboxylic compounds, ammonium ion and carbon dioxide. The activation parameters of the first order rate constants were evaluated and discussed. The authors are thankful to the Head, Department of Chemistry, University of Lucknow, Lucknow, for providing necessary laboratory facilities, spectral, elemental and biological activity data. Authors wish to thank reviewers for greatly improving the paper. None of the authors of the above manuscript has declared any conflict of interest which may arise from being named as an author in the manuscript. The rate law is in agreement with all observed kinetics.